Dr. Charles Curley received his Bachelor of Science (B.S.) degree from the University of Florida before receiving his Doctor of Dental Surgery (D.D.S.) degree from the University of Maryland at Baltimore College of Dental Surgery. He is an active member of the American Dental Association, the Florida Dental Association, and the Dental Society of Greater Orlando. As a general, restorative, and cosmetic dentist, he enjoys improving the health, function, and beauty of his patients' smiles. 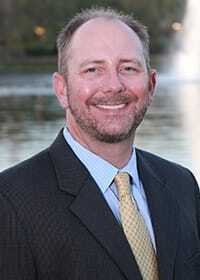 An Orlando native, Dr. Curley is dedicated to giving back to the local community. He regularly volunteers at the Orlando Dental Research Clinic where he provides treatment for patients who are unable to receive dental care elsewhere. Dr. Curley also donates his professional services annually to the American Dental Association's Give Kids a Smile campaign. In his free time, Dr. Curley enjoys spending time with his family. He also enjoys traveling, golfing, and snowboarding.